We’ve all seen a movie or TV show where a guy walks into a diner, nods to the waitress, and says, “The usual.” The waitress knows exactly what he means. Without another word, she places his order and, a few minutes later, brings him exactly the meal he wanted, just as usual. I want my house to be like that. When I walk into a room, I want the room to know it’s me and give me “the usual” – my favorite combination of lights, my favorite room temperature, maybe my favorite playlist – you get the idea. Luckily for me, wireless technologies are at a point where this is possible. Without having to flip a switch, push a button, or turn a knob, my surroundings can know it’s me and can automatically create the environment I like best. 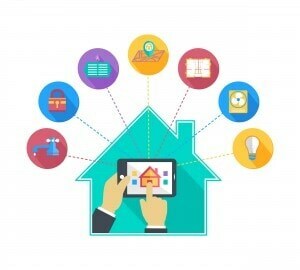 The concept involves low-energy proximity sensing, which is a technique now supported by two widely used wireless protocols, Bluetooth Low Energy (BLE) and ZigBee. Here’s how it works: a beaconing device, built into my smartphone, wristband, or some other kind of wearable, sends out a low-energy signal at regular intervals, in much the same way that a lighthouse or navigational system does. The beaconing signal contains a unique user ID (UUID), and when I enter a room, the room’s network receiver picks up the signal and reads the UUID. The UUID is associated with settings – light levels, thermostat temperature, and so on – each configured to my liking, and the network automatically uses those settings. 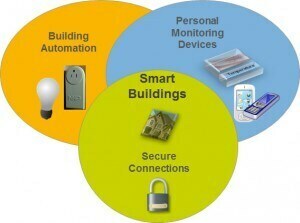 Beaconing can be used with a wide range of home-automation tasks. For example, the front door can unlock as I approach, and the alarm system can turn off as soon as I enter. No more fussing with keys or having to remember a code for the alarm. Or, if my daughter breaks up with her boyfriend, there’s no need to rekey the locks, since access is electronically limited, immediately, at the press of a button. Beaconing can save on utility bills, too, since anything that uses energy – lights, ceiling fan, gas fireplace, even holiday decorations – can turn off automatically when I leave the room. Adding sensor technology to the mix makes it possible for settings to change as my situation changes. Let’s say I just went for a run – I’m hot, and I don’t want the room to be as warm. The network can sense this, and lower the thermostat until my body temperature returns to normal. The same is true if I’ve been sitting for a while: the network can sense my body temperature is lower, and turn up the heat a few degrees to compensate. Beaconing promises to deliver on my vision of a truly automated home. After all, I want to be warm, without bothering with the thermostat, and I want my lighting to be just right, with my preferred color settings and illumination levels, without fumbling with switches. In other words, I want to be the guy who gets the usual, simple as that.